Tulsa Ballet is pleased to offer Group and Corporate Rates for all of our productions. Groups of 10 or more attending a single performance through one method of payment can save up to 50%! Gather your friends, family or colleagues for an unforgettable night at the theater with Tulsa Ballet. Be sure to ask about special performance events that your group could attend to enhance their experience, like pre-show discussions or a behind-the-scenes experience (not available for performances at Studio K or Lorton Performance Center). Scout leaders – We can also arrange additional educational activities to help your group earn scouting badges. Corporate rates are also available. Say thank you to your employees or clients with an exclusive offer to purchase discount tickets to the Tulsa Ballet. 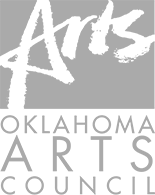 For Tulsa teachers from Title 1 schools interested in bringing a group of students, grant funding is available for busing expenses for performances at the PAC. Click HERE to learn more. For more information, please contact Marissa Mitchell at marissa.mitchell@tulsaballet.org or (918) 392-5914, or fill out the form below and we’ll call you back. Discounts apply to price level 3 seating. A $1 – $3 facility fee will be added to the cost of each ticket depending on venue. Prices are subject to change. No refunds or exchanges on tickets.